Superintendent John Keenan notified the Greater Egg Harbor Regional Staff today of major budget cuts which includes cuts in staffing, equipment, supplies and professional development. "Preparing our 2017-2018 school budget presented us with many challenges. We are not immune to the economic hardships facing Atlantic City and Atlantic County. In various degrees, all Atlantic County schools are caught up in this regional economic turmoil. Adding to our difficulties is our declining enrollment. In the last five years, we have lost 13.4% of our enrollment or 508 students. This year alone, we dropped by 107 students. This further affects us because we have lost tuition revenue from our sending/receiving relationships with Port Republic and Washington Township. For many years, our state aid has remained flat, and the state has not followed its own funding formula. This essentially amounts to a cut in state aid because state funding has not increased in relation to our rising expenses. This year we have been shorted $2 million dollars. Each year, we have cut our budget to fit in with these many restrictions, and we are forced to approach each budget year with an already lean budget. The rallying cry for years is for the governor to fully fund schools instead of passing the burdens on to others. Our residents face similar challenges and hardships. We are only permitted to increase revenue on the tax levy by 2%. For us, this amounts to $620,833. While many of our residents see this amount as a burden in increased property taxes, the 2% simply does not keep pace with the millions of dollars in increased expenses. $1.3 million in increased salaries, utility expenses, tuition for special education placements, and transportation costs for regular education, special education and homeless students far exceed our allowable 2% tax levy increase. Lastly, our proximity to the Atlantic County Institute of Technology presents more of an issue for us than for other high schools. Payment for students attending ACIT for next year amounts to $4.1 million dollars. All of these factors affect our economic condition and we are forced to make $4.7 million dollars in cuts. Our Board of Education and administrative team has worked to prepare a budget that allows us to preserve our overall programs. However, almost every area of our budget has been cut. From supplies to equipment to professional development, we have analyzed and scrutinized all that we do. The enormity of this cut will affect us all. We all know that education is a people profession and our human resources make up the largest portion of our budget. It is most unfortunate that with cuts this deep, we are forced to reduce staffing. We realize that all staff are anxious regarding their positions for next year and we especially know how vital this information is to each of you. This week, we will personally speak to each individual affected regarding their status for the next school year. 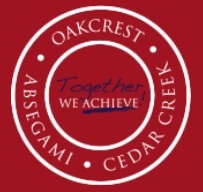 Our preliminary budget was approved on March 20th with the final budget due May 1st. Throughout the coming months, your supervisors and administrators will share more information regarding various department supply cuts. As we develop our master schedule for 2017-2018, we may have need to consider transfers and crossovers. We are unable to finalize those decisions until May. I am saddened to have to share this news with you, but keeping you informed is a priority for us." Why are the schools paying for professional development? Shouldn't teachers bear this burden just like most other professions? 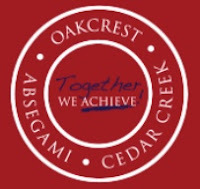 It's been 5 years since Cedar Creek opened and since then steadily declining enrollment. That is gross mismanagement of public funds. It's time for a change in leadership and they need to look at closing one of the schools. "While many of our residents see this amount as a burden in increased property taxes, the 2% simply does not keep pace with the millions of dollars in increased expenses." That portion of his statement does not relate to myself and plenty of other taxpayers. This increase along with the 2% increase from the GTPS along with a likely increase from the county will result in one thing: More foreclosures and more people already in the foreclosure process having this as a the final nail in their coffin. Last week, my neighbors six houses down who had been fighting to keep their home from their mortgage company since 2010 lost their fight. Woke up one morning, and their stuff was thrown out on the curb like these people were nothing. Maybe if Keenan and the GEHRHSD board members completely eliminated unnecessary bonuses and salaries, they would have the money to make up for the increased costs. In addition, every time they don't plan for the future, they turn to the taxpayers to fix their mistake. It is well known that there are fewer and fewer students being sent to the district by Port Republic. Why? The population in the town of roughly 1,100 people only has about 20% people (or about 220) that are 18 and under. That was back in 2010 mind you. Also, not everyone uses public schools in Port Republic just like every other town. Maybe if Superintendents Cicariello and Keenan and all the board members looked at those figures and said how will we look five years and beyond, we wouldn't be looking at staff members having to be laid off. If you feel that the state is not following the formula in accordance with the law, then stand up and call them out on it. Don't call on the taxpayers to pay more when they are already suffering and not making bonuses and salaries that amount to over $100,000 per year. I thought the new board member Baldwin ran on fiscal responsibility. How responsible is it to layoff security when you said you would provide more.